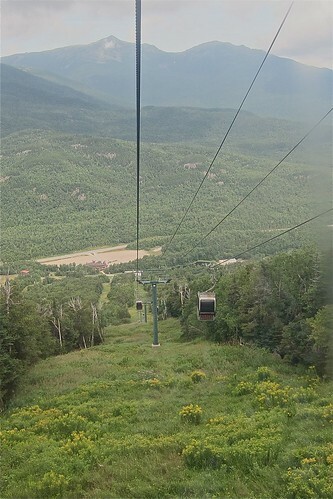 While Doris was hiking I drove to nearby Wildcat Mountain (another blog entry) to take a gondola ride to the top where I could view the Mt. Washington area where she was hiking. 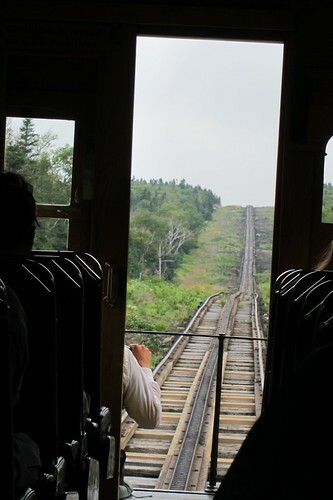 Gondola ride to the summit of Wildcat Mountain in the White Mountains of New Hampshire. View of Mt. Washington (where my friend was hiking on a trail but not to the summit). 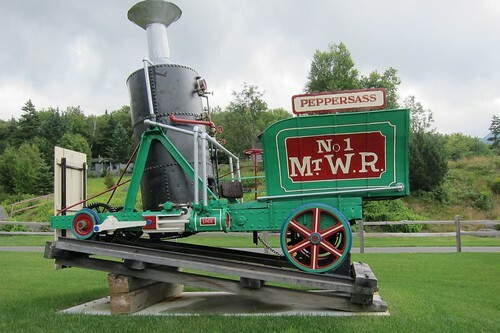 We arrived at the Pinkham Notch State Park mid-morning. 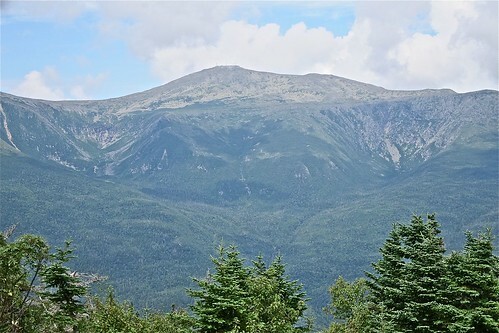 Following the suggestions in a Frommer’s Guide to New England, I encouraged my friend Doris, who is in excellent physical condition, to hike up Tuckerman Ravine to Hermit Lake. 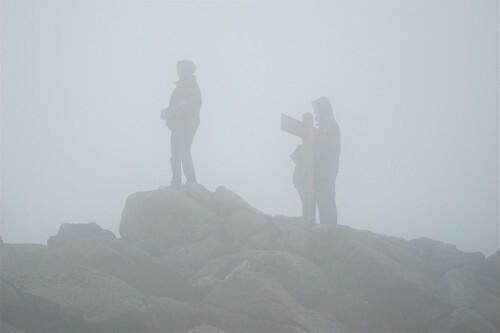 The hike was described as strenuous, taking approximately two hours round-trip from the Visitor Center. Doris loves the outdoors and hiking so I thought she’d enjoy this hike even though I am not in good enough physical condition to try “strenuous” hikes. You’ll note the rocks in the photo below and the logs, and the wood-plank bridges in the Flickr slideshow which you can access by clicking on the photo. 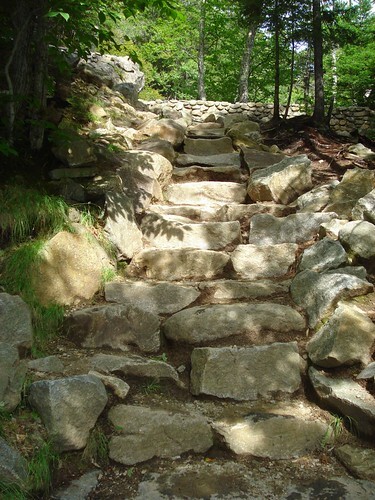 The trail up Tuckerman Ravine.